In bright sun-lit conditions the W90 usually produces stellar photos—crisp, detailed and with excellent color saturation. That’s thanks, in part, to a 9-point contrast detection autofocus system and stellar face detection capability. 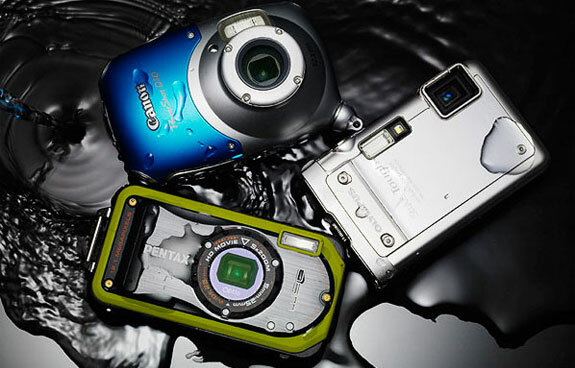 The 5x optical zoom is the best-in-class for a waterproof ultra-compact, edging out the 4.6x optical zoom of the Panasonic Lumix DMC-TS2. We would have liked the W90′s wide angle (28mm) to be a little wider but the upper focal length (140 mm) makes for a useful zoom. The Optio W90′s reinforced polycarbonate plastic body feels durable. The large oversized front screws and rubberized edging look durable. And, indeed, this camera really is durable! It’s waterproof to greater depths than competitor models (see chart, below). It’s rated as shockproof to 4 feet (1.2 m) but ours has survived falls of about 6 feet. The macro mode is fantastic. Photos show great detail. What’s really cool are three small LED lights around the lens that illuminate subjects when taking macro photos; these lights reduce shadows and make it possible to shoot into dark nooks. The panorama feature really works! In “digital wide” mode the Optio W90 will combine two photos taken one atop another into one image; in “digital panorama” it will combine two or three shots taken side by side. The photo stitching is automatically done on-camera. Click on the image to see the entire panorama, unedited. Warning: total file 2.3 megs. When the water is clear and sun is plentiful, the Optio W90 takes the best underwater photos of any ultra-compact waterproof camera. Unfortunately, photos taken in murky water show the same peppered noise that other low-light photos taken with the W90 do (see below). The manual focus feature will appeal to those who get frustrated by the typical point-and-shoot’s lack of manual controls. There’s also a big green button on the front that will instantly put the W90 in full automated mode. That combo makes the Pentax Optio W90 ideal when being used by two photographers: one adept at manual settings and one not. There’s no lens cap or built-in lens protector. Buying a good case—and using it regularly—is required for keeping the lens and back screen from getting scratched. That’s especially unfortunate considering no case is included with the camera. The video quality is mixed. The Optio W90 shoots video at an HD resolution (1280×720) and the on-camera mic is decent. But the picture crispness isn’t going to wow anyone either. Consider the W90′s video capabilities as a nice side feature, not a reason to purchase the camera. 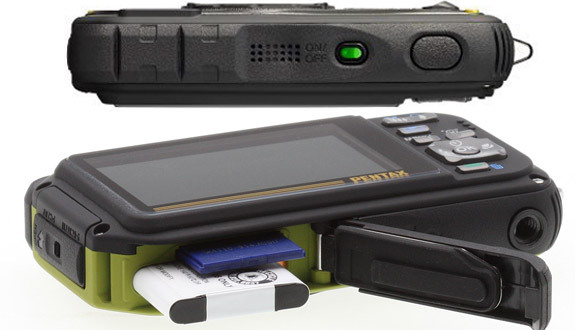 Though we appreciate the Pentax Optio W90′s light weight we are less keen on its battery life. The official specs say the W90 can take 205 shots on a recharge but we got around 180~190. The W90 has no image stabilization and no easy way to manually set the ISO—two features Spot Cool Stuff wished were included. If you are going to own only one camera and want that to be a compact waterproof point-and-shoot then we suggest the Canon PowerShot D10. Why not the Pentax Optio W90? 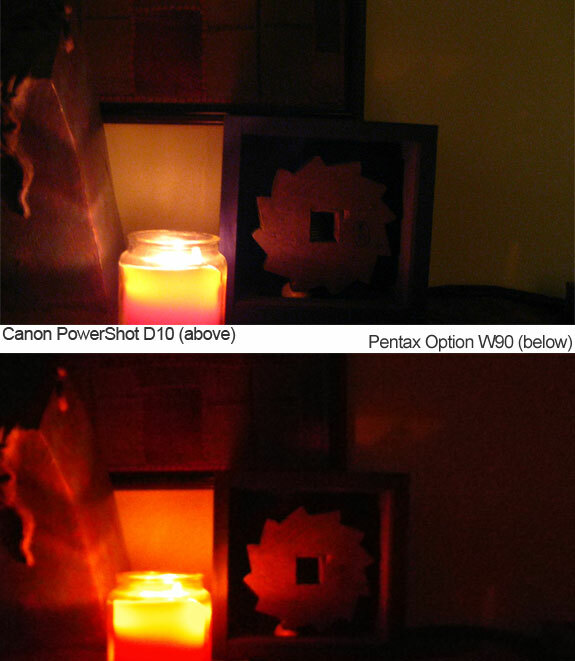 The largest downside for us is the W90′s poor low light shooting capabilities. The Optio W90′s sub-optimal movie quality also tempers our enthusiasm. HOWEVER . . . if you are looking for a companion to a high quality camera you already own then the Pentax Optio W90 is an excellent choice. When taking a camera into a harsh environment—one that’s wet or sandy or especially cold, for instance—that’s when you leave your delicate SLR safely packed away and slip a Optio W90 in your pocket. For a camera at its price point—currently $217 with Amazon’s hidden discount—the Pentax Optio W90 has an impressive feature set. Especially useful is the macro and on-camera photo stitching modes. 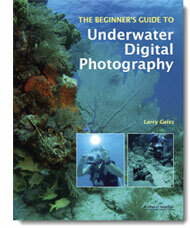 That versatility meshes well with the W90′s ability to take excellent outdoor photographs. But what’s really impressive is the W90′s durability. 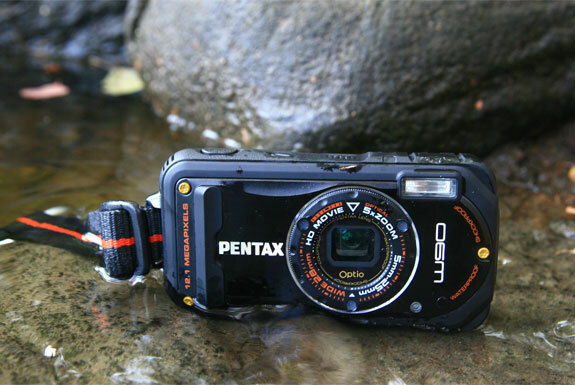 For scuba adventures such durability has an obvious advantage: The Pentax W90 remains waterproof 160 feet deeper than comparable cameras. Those who aren’t diving enthusiasts will appreciate the Optio W90′s superior build quality too. Taking a camera to the beach? There’s no worry about sand getting into the Optio W90′s inner workings. Letting a child use your camera? The Optio W90 stands up to drops. Going rock climbing or skiing? The Optio W90 can handle being knocked about. 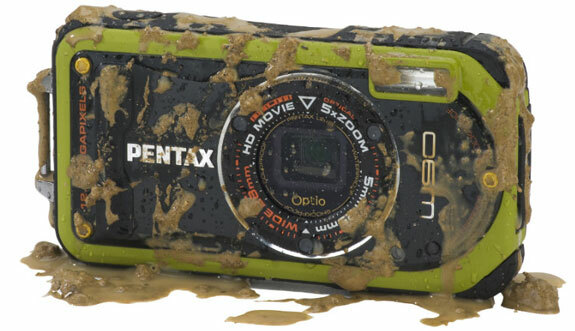 With such durability you can have a certain confidence in buying a Pentax Optio W90—it’ll be working for a long time to come. good review! very helpful. kudos. Wow the camera is good. Is it available in India if yes then what is the price of this camera?